Every year it seems that we are faced with the dilemma of how many Christmas cards to send out. Who will expect one, and what are the “rules?” The PurpleTrail team has put together a list of Christmas card etiquette tips to help you decide how to handle the Christmas card debate. 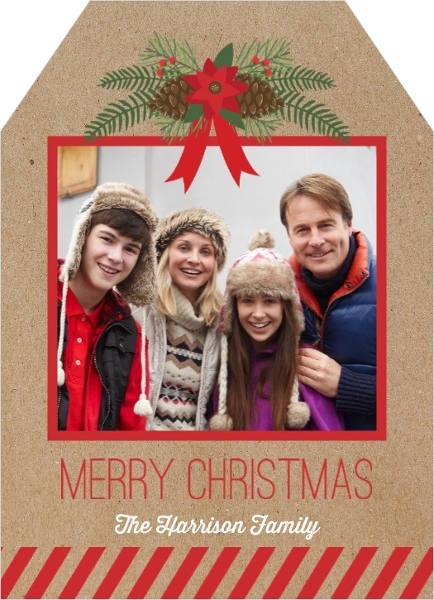 Brush up on your Christmas card etiquette, check out PurpleTrail.com for our collection of customizable Christmas Photo Cards and enjoy a stress-free holiday season this year. Christmas card etiquette: Who gets one? Extended family. You’re under no obligation to send your third cousin twice removed a Christmas card (unless you know her personally! ), but your great aunt Hilda will surely appreciate a nice gesture from your family. Co-workers. 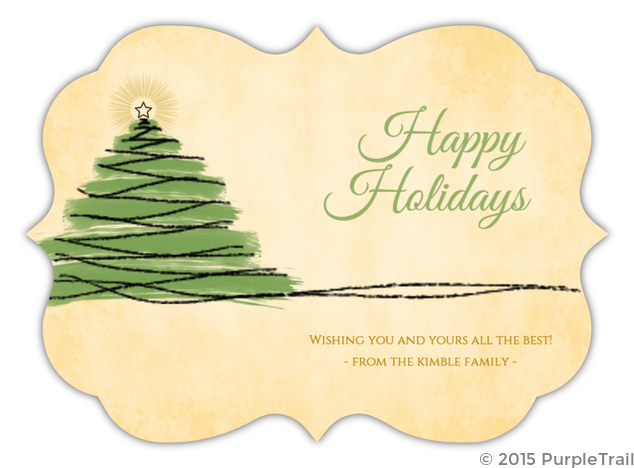 It’s perfectly acceptable to send holiday cards to your co-workers. So the more the merrier. If you work in a very large company, consider sending to your immediate team or those you work most often with. Boss. Sending a Christmas card to your boss is definitely appropriate. A message of goodwill can never be a bad thing! “Temporary Friends”. Temporary friends are those folks in your life whom you’ve made a relationship with at present but it’s not likely to stay in your life long term; go ahead and add them. They may not have to stay on the list forever. See below. Neighbors. If you’re friends with your neighbors, consider attaching a card to some freshly baked cookies. If you are close to service people such as your hair stylist, nail technician, family doctor or massage therapist, give them cards as well. This is a tricky question for some. Many are of the opinion that once you’re on the list, you’re always on the list. Since Christmas is only once a year, it is a nice way to reach out to those you don’t connect with on a regular basis. On the other hand, if you have had a falling out that’s not likely to be mended or you are tightening your Christmas card budget, it’s OK to let a few names fall off. Just choose wisely. The caveat: those temporary friends. It may be a nice way to stay connected to those people, but it’s OK to let them go if you haven’t spoken to them in years. Should I send cards to people I haven’t sent to in a while? Yes! 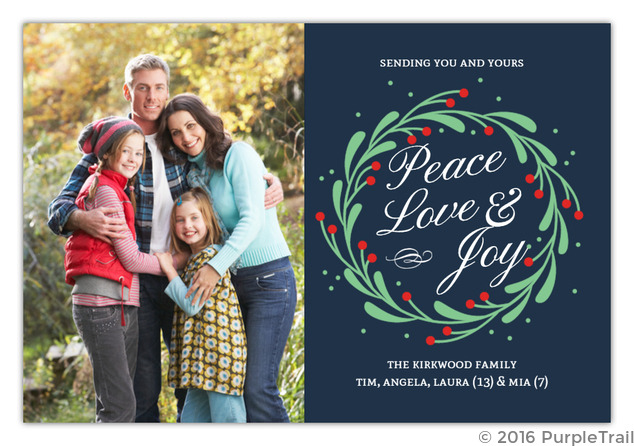 Christmas cards are a great way to open up communication that’s been closed for a while. Perhaps they’ve been waiting for you to reach out because they didn’t know your new address or just weren’t sure how to initiate a connection again. Is it offensive to send cards to my non-Christian friends or those who don’t celebrate? Many people of all faiths celebrate Christmas, and most who do not will not be offended to receive one, much like most Christians wouldn’t be offended to receive a Hanukkah card. A card is considered a good will gesture, not an attempt to convert anyone. When should I send out my Christmas cards? Mailing your cards as early as possible is a great way to relieve holiday stress. However, proper etiquette states that you shouldn’t send them before the week of Thanksgiving. Ideally, they should be mailed by the end of the first week in December before the mail service gets bogged down with all the holiday cards and gifts. Should I send out online Christmas cards? Ideally, it’s much better to mail them. A Christmas card should be an act of generosity with a personal touch. If all you have to do is email your address book, it no longer evokes the feeling of traditional winter cheer. Your family and friends will look forward to receiving cards in the mail. We hope these Christmas card etiquette tips have been helpful to you. The PurpleTrail team would like to wish you and your family a very happy, joyous, peaceful holiday season full of love and laughter. 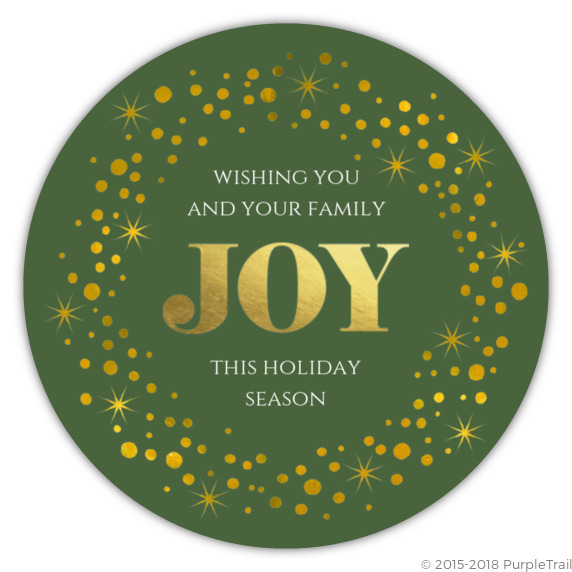 For Customized Christmas Cards and Custom Holiday Cards, check out PurpleTrail.com.